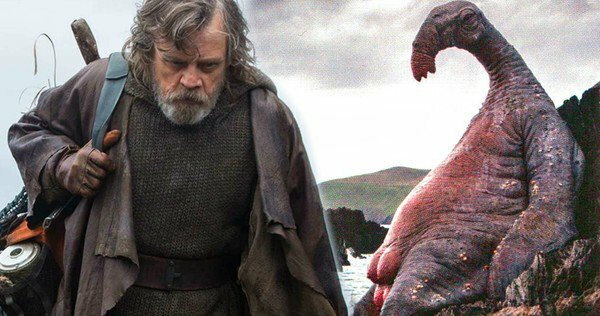 Back on Ahch-To Rey discovered a stone hut which houses the original Jedi texts which, as we know, are 1,000 generations (or approximately 20,000 years) old. This means that Master Skywalker did not choose this remote island planet for its remoteness but rather to stand watch over the Jedi texts. One wonders whether this planet’s location is common knowledge. If so, why haven’t the Sith or some of history’s past bad guys showed up and destroyed it? 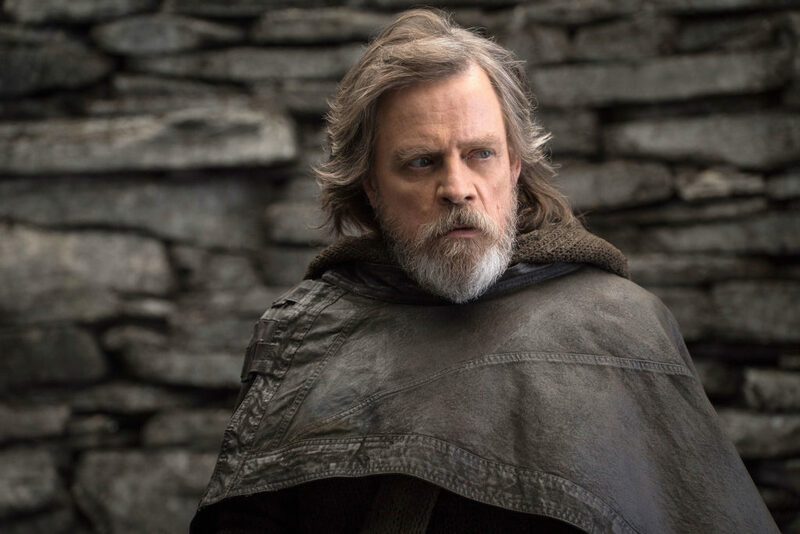 Also, why wouldn’t anyone have thought to look for Luke here before? 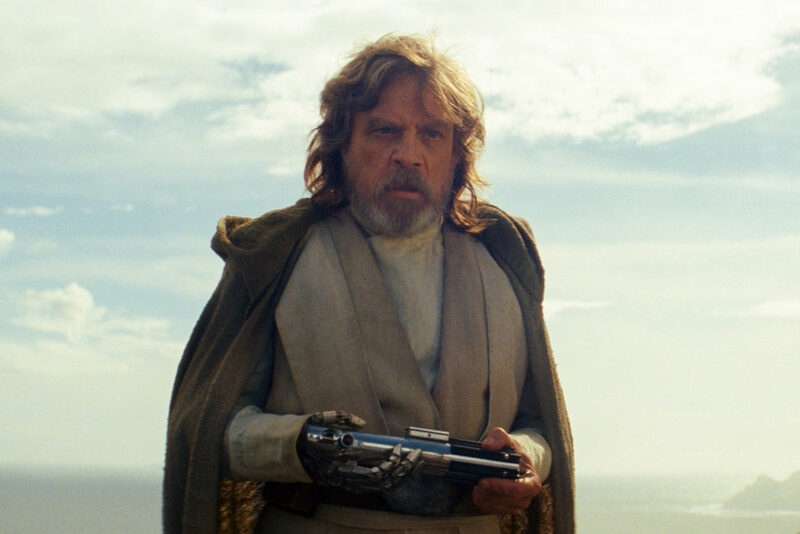 Luke lets Rey know in no uncertain terms that he will never train a generation of new Jedi and that he came to this island to die. We briefly see his X-wing submerged in the water which seems to indicate that he has no way of leaving the planet except that we are all familiar with the fact that X-wings are more than capable of being removed from water and being flyable. The only question is that of duration. 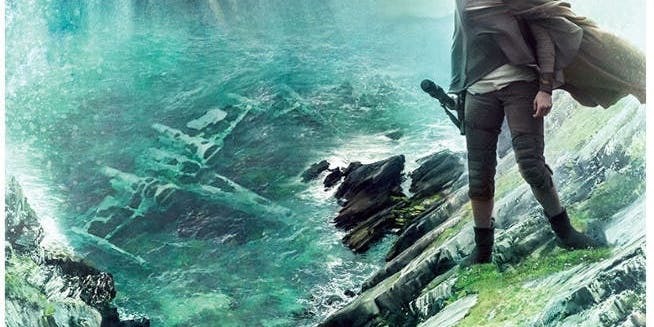 In Dagobah his X-wing was submerged for likely a few days, on Ahch-To it could have been a few years. At any rate it’s also likely that a spaceship designed to survive the rigors of space travel would likely be able to survive a while underwater as well. On the Resistance ship Leia slaps Poe Dameron in the face and demotes him. I’d have to say that Poe got off pretty easy in this situation. I’m not a military man but personally I think anything short of court martial followed by immediate execution is a pretty light punishment for what he did. Maybe it’s my age but I can’t help but think that Poe is a reckless fool and not a hero. He needlessly lost a squadron of bombers and valuable lives. As we see throughout the course of this movie the Resistance’s numbers seem to be best measured by the dozen. This is not a move that should have left Poe Dameron anywhere other than the brig or the morgue. 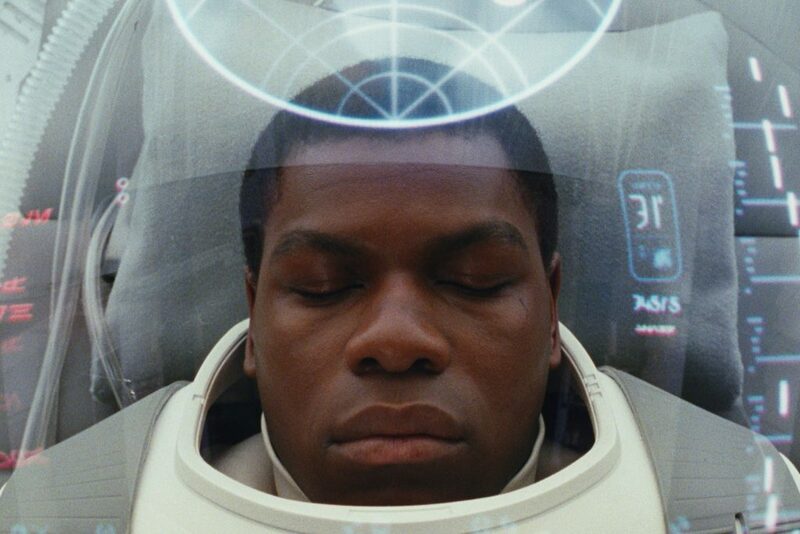 Finn is waking up from his injuries in some sort of comical bacta suit. I didn’t look it up, that’s just what I’m imagining it is. I’m surprised they didn’t go for the bacta tank callback since these movies seem to be so fond of such things and I can’t decide if the suit with all the tubes is better or worse. For some reason the scene is filmed in a comical way before Finn returns to action. 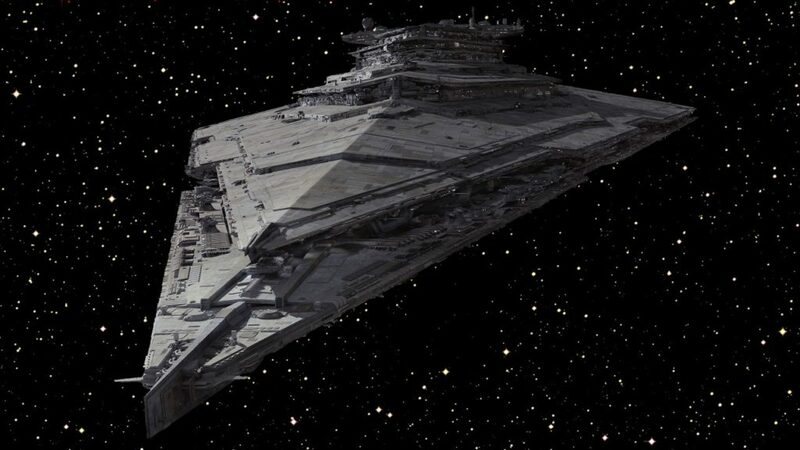 Meanwhile the rebels have found a new base they can retreat to. 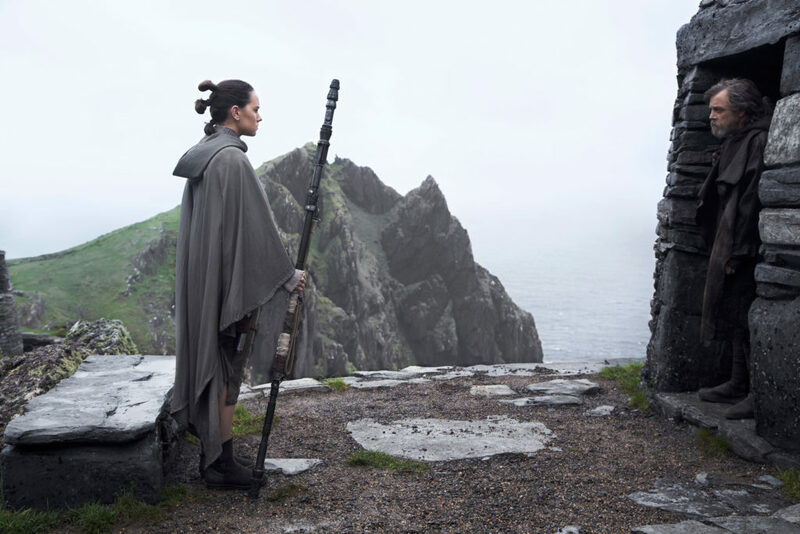 Leia reveals that she has a “binary cloaking beacon” which is Star Wars speak for a homing device which will allow Leia to keep tabs on Rey’s whereabouts. The Resistance then jumps into hyperspace only to find that the First Order has tracked and followed them through hyperspace. It’s well established law in the Star Wars universe that this is impossible. It is not explained how they have done this just that they have. While I have no problem with them changing the rules with such things it seems to only be delivered to advance the plot. We have no idea why or how this happened. It just seems like a convenient fact for the First Order. 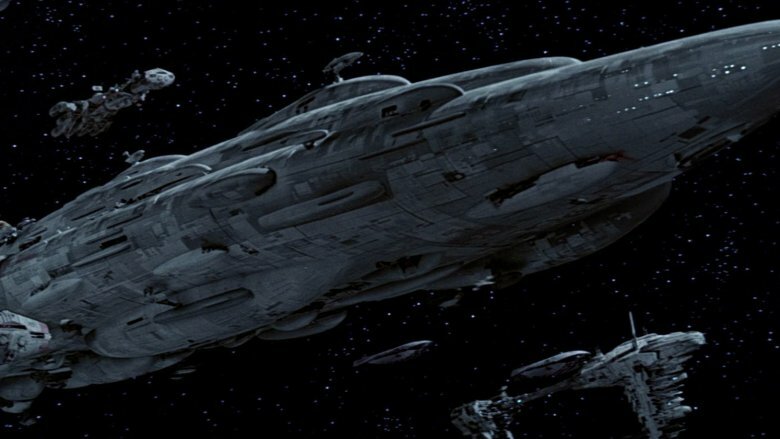 It’s then revealed that they only have enough fuel for one more jump and that if the First Order follows them again they will be sitting ducks. Now this does bother me. Why? Because nowhere in the Star Wars movies has the word “fuel” ever been mentioned before. People love to say that Star Wars is fantasy and not science fiction. I don’t necessarily agree with that one hundred percent but it’s not an entirely wrong statement. Fuel, science, technical explanations, these are all things generally reserved for Star Trek. Star Wars always seems to focus more on the story than that sort of thing. The same way that no one in Star Wars has ever had to load their blaster or recharge their lightsaber. Presumably these technologies have evolved beyond the batteries and gas pumps of our current day technology. Please don’t start telling me about some nonsense you read in one of the EU novels published in 2004. I’m talking Star Wars canon here, nothing else. Some energy source somehow propels them through the stars but I always imagined it to be something more along the lines of Red Dwarf where they’re accumulating particles in space or regenerating matter or something. Something more advanced than pulling up to the Dantooine Shell Station for a fill up. 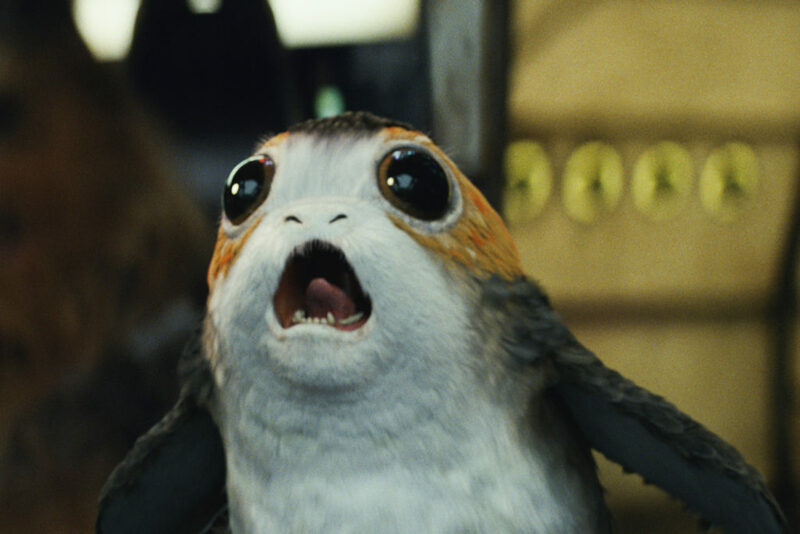 When they decide that they can’t go into hyperspace they decide to simply outrun the First Order but this is a problem because it also reportedly burns fuel which they imply will eventually get them caught. This makes even less sense. I was watching and fully able to buy their fighters’ space maneuvers, “dropping” bombs in space, etc. Now that they’ve brought up fuel I’m in science-mode. Obviously you don’t burn up fuel in space. You go as fast as you can go then stop burning fuel because inertia will allow you to travel for an infinite amount of time at top speed in a frictionless environment. They may run out of food or supplies but they will never run out of fuel. If they’d made it more of a space siege where their supplies were dwindling that could have made this scene have a little more impact though, admittedly, would have taken a considerably longer time to pull off. I guess the idea of fuel isn’t that big a deal it’s just that it took them over forty years to bother bringing it up. Fuel is the midichlorians of the new trilogy. Don’t make me think about the science of all of this. If I want science I’ll watch Star Trek. Next up . . . Leiaaaas in Spaaaaaace!